Over the weekend I received 2 postings on the cheese waxing topic. Both postings were strongly AGAINST someone waxing their own cheese. Unfortunately, I feel that this leads folks astray just as much as telling a person that there is no need to prepare. So I wanted to add some clarification and THEN post the main part of the body of the message these individuals posted. For starters, there are three reasons why I wax cheese. One--because I don't want to be without out it, even in the midst of a food shortage, financial collapse or an EMP strike. I love the stuff that much. Given that the refrigeration availability is questionable in such circumstances, I wax and eat my own regularly. Research I've done says that waxed cheese stored in a cool, dry place will last up to 25 years. There's no way that any cheese I have in the house will last that long. :-) So I'm banking on 5 to 10 years when I wax cheese. The second reason why I wax cheese is to fight back on hyper-inflation and currency devaluation. This past weekend I did a cheese waxing demonstration for a large church function. I wanted to show those in attendance how cheeses look that are preserved with their own rind (like they did centuries ago--and some still do) as well as to show examples of hard cheeses. I grabbed maybe 5 chunks that fit in my hands and my total grocery bill came up to SIXTY-FIVE DOLLARS! *choke, gasp* As I was leaving the hoyty-toyty cheese section I saw that a 2 pound block of Tillamook cheese was "on sale" for "only" $9.99! OUCH! Today I will be using some coupons and obtaining two pound blocks of cheese for a whomping $2.99 each. We all only have so much freezer space, right? I don't have the luxury of having a freezer dedicated 'just" to cheese, and even if I did, when the electricity goes out long-term, I don't want any problems with all of that cheese I've got stored i.e. going bad, getting stale, etc. On sale or not, if you have to throw it out, it's still a waste. The third reason why I wax my own cheese basically boils down to the entire crux of preparedness in my mind--INDEPENDENCE. Cheese is definitely a product that I love to eat, cook with, and thoroughly enjoy. I don't want to be entirely dependent on my electric company, the grocery stores, or the dairy industry in order to assure that I have some on hand. Thus, I get it in abundance whenever possible and then preserve it the way that I'm most comfortable with, which allows me to be INDEPENDENT of others. So, is there a problem with all of this? Well, yes, I suppose there is. 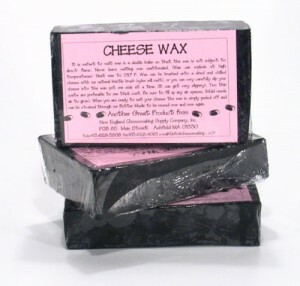 You see even though there has been only one reported case of food poisoning associated with cheese (it was a commercially canned product that had a cheese sauce in it), there are quite a few folks who are in a dither when I talk about waxing your own cheese. And yet these SAME "expert" individuals AGREE that you CAN store "dry waxed cheese at room temperature." If you read my posts on this topic you will see that I constantly state "hard" cheeses are what I wax and store. Hard cheeses are hard, because they are DRY--at least they are supposed to be. I kind of giggle at the thought of what these individuals would have said back in the "olden days" when folks had the audacity to wax their own cheese, bottle their own butter, grow their own vegetables, and drink raw milk from their cows, etc. Perish the thought! Wow, how did we ever make it to this point of progress in society without the ever-so-reliable USDA and Extension Services telling us what to do? One of the best times to wax your cheese is when you've made it yourself! But that's for another day. I will tease you a bit though and tell you that there's never been a better cheese than the one you make yourself. Oh, and just so you know, a white mold on the outside of your cheese is actually good. It's what the rinds are actually made of. You can also salt the outside of your cheese prior to waxing, but that get's a bit messy, in my opinion. I'm not really sure why these individuals feel certain that I'm going to kill you all unless their own words are heard, but I'm not afraid to give you information and then have you make your own decision. In fact, if you think about it, that's what I do on this site everyday. The problem is that many folks will send me an e-mail (or a post) and think that it's the be all and end all to the consideration. I don't think giving information that way is helpful to anyone. So, I've posted below the message from the extension center. In fact, it's the same one I obtained locally here as well. I'll italicize and bold the part in which he glosses over the part which tells you that yes, you CAN wax hard/dry cheeses and store them at room temperature. It seems someone is traveling around telling folks to wax cheese and place it in food storage. And, giving credit to consumers, I've heard from many that this suggestion just doesn't sound safe. Waxing cheese is a method to minimize mold growth on the surface of cheese. It cannot prevent growth or survival of many pathogenic bacteria. In fact it may promote anaerobic bacteria growth, like botulism. 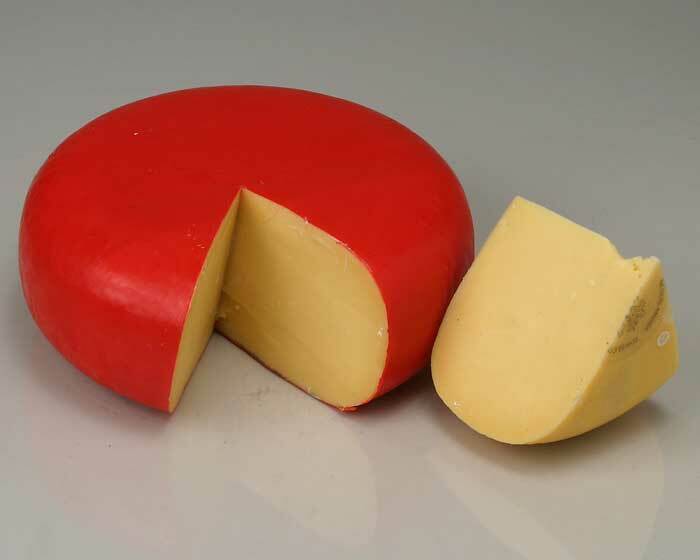 Before the days of refrigeration, we made cheese that was dryer and fermented to a lower pH (higher acid). These types of cheeses were traditionally stored at room temperature with wax covers. The very low pH and fermentation byproducts could inhibit food borne illness bacteria. A perfect example is parmesan style cheese. Acid, dryness, and fermentation byproducts make this cheese capable of storage at room temperature. Today, many cheeses are made strictly for storage under refrigeration. 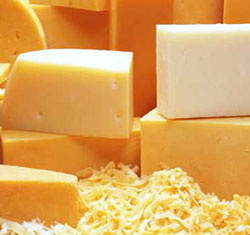 These cheeses may not have a low pH and other factors created in their manufacture to prevent pathogen growth, since the manufacturer knows they will be kept refrigerated. If someone waxes this cheese and leaves it in food storage, then there is absolutely no science indicating any level of safety. Please inform consumers that there is no scientific evidence that waxing cheese is safe. In fact, there is evidence to the opposite - placing cheese meant for refrigeration at room temperature is a SIGNIFICANT risk and hazard for food borne illness. Please note these are not ALL of the cheese waxing directions which are far too lengthy for a blog article. Should you like to know how to wax your cheese perfectly and without errors that may cause you to have to do it all over again, please use the resource guide available on this site "For the Love of Cheese" as found in the Prep Pro Classes tab of this site. It includes video instruction and detailed written instruction. This way you won't get discouraged and your waxed cheese will turn out right the first time. Do you have a tutorial available for how to wax cheese? I'd love to try this. Thank you for presenting both sides and then refuting the misinformation. Oh good! I did a bunch, but did something wrong, as it didn't keep. I'll be so excited to see your tutorial & try it again. We could not figure out how to keep the temperature from rising on themilk. I believe the recipe said 85 degrees. Would like to see a tutorial on the actual cheese making as well as the waxing itself. We bought a huge chunk of red cheese wax and it is just sitting there waiting for action. oh I'm excited you are coming out with a tutorial! I really want to do this. Kellene, thanks for all the effort you make to help your readers. A tutorial on the cheese waxing is most appreciated. If you do a search on "cheese waxing" on the blog, you'll find two other articles that give plenty of info on it. Can't wait to read about it... :) I do lots of stuff the "experts" say not to do and I'm still alive and well. I am sooo excited about your tutorial. We are planning to get a nice farm with 7 acres and a wonderul barn. So we will get cows and chickens. I want a few goats but hubby is not to sure. Also do you know how to can butter?? Thanks again for your blog. I have really enjoyed it and learning more about sustainability. Canning butter is covered here on the blog as well--I'd particularly recommend the solar oven method. Where will your tutorial be posted (youtube, facebook, your blog)? When I was a boy my father would buy a huge 16X5" wheel of cheese. Waxed thick. Is there a place where I could find that these days. u can buy a huge wheel of chees almost anywhere. Arthur Ave , The Bronx NY, also i have seen in the NYState Catskills. also, the PA Amish sell it. look online - or call directly , mayb they deliver! can't wait for the tutorial. i would like to e-mail you, "off-line" about selling some silver of my mothers and use the funds for more preparedness. do you have any recommendations? Waxing cheese is totally awesome though not perfect. But learning to be self reliant means you flex and adapt. Queso Fresco is made in a day or 2 or a mozerella made via the microwave. To the blow hard bureaucrat that Kellene used as an example I'm doing a test of a Monterey Jack stored in the fridge with a sell buy by date in Sept. Well if good I have a place to start. I can always try waxing if I have no choice. Did you notice how this person signed his name "Director, Retail Food Safety Consortium". When I do a quick Internet search for cheese aging data, I quickly find that the time for cheese aging can vary from a few days to 3+ years. My quick intellect and exceptional intuition tells me that this must mean that there are differences in cheeses, and I quickly deduce from this (I must be a Sherlock Holmes-level detective) that some cheeses might be better suited to long-term storage than others but that there are, in fact, some cheeses that could safely be stored in various conditions for quite some time. Perhaps I could consult for the extension office when they are again in need of exceptional sleuthing abilities, as the desk-jockey that wrote you the email seems to have lost his abilities for common sense and reasoning somewhere along the line. It never ceases to amaze me how many people are willing to hang their hat and reputation on generalities... you know, things like "You can't wax and store cheese because it will kill you!" Amazing how the world lived without refrigeration and still survived just long enough for desk-jockeys to be born to save everyone else from making their own choices. Can cheese that has been frozen be waxed later? I have some Tillamook cheddar in the freezer. Thanks. Oh and what about blue cheese? If you were told that you could wax any cheese, then you were definitely told incorrectly. Hopefully, when the tutorial comes out, you can see the exact instructions on doing so properly. Bummer that you had such a frustrating time of it. I know the food extension people really do believe what they are told from the higher up people in the USDA. But sometimes, you just have to take it with a grain of salt. How long have you waxed cheese? canned foods? canned butter or milk? Canned raw packed meats? oiled eggs for storage? or done hundreds of other things that don't fit into the "ok" list? I Water Bath canned vegetables for 4hours since I was a kid. My ancestors did it that way, and taught me to do the same. I have done it dozens upon dozens of times. And we lived through it, and never became ill. I have canned butter many, many times, and none of us have ever gotten ill. My parents canned jelly in old PB or mayo or mustard jars, never processed, just put in a clean jar, cover with paraffin, then stick in the cabinet for years until it was all eaten. And we all lived though it, and didn't even become ill from it. I remember my Grandma always canning chicken/dumplings in a water bath canner. They were good-- my favorite food as a kid. We all ate them, and we all lived through it with no illness. Don't get me wrong, I love my pressure canners. I prefer my pressure canners, actually because they are so convenient. But there were many, many years that I didn't have them. And I know how to can veggies, even meats in an old WB, and live to tell about it while not even being ill from it. I know these things, done the way my family did them, never made any of us ill, never killed any of us. So, when anyone gives me the "you can't do that lecture", I ignore it. I just know better. If it were that deadly, I wouldn't have grandbabies running around, learning how to do the same things my Grandma, great-grandma, and parents taught me. If it were really that deadly, the family would have been wiped out 100+yrs ago when they used only water bath canners and zinc-lidded old blue jars. I just had someone tell me the other day how I couldn't rawpack meat to be pressure-canned. It didn't change my way of doing things. Actually, you're just a bit off on the temperatures referred to in "cool, dry, place." They are between 68 and 72 degrees. Cellars were actually a luxury for many decades and then they became more common place as their merits in extending the life of produce was discovered. It was prior to that time that the Dutch discovered the benefit of waxing cheeses and they actually hung most of them in their home, away from direct sunlight. When cellars became more the norm, you begin to see some more amazing flavors in cheeses that emerged. But that blue cheese that folks love was all because of an avid cheesemaker who had no cellar. Yum! Let me start by saying I follow and love your blog. I don't want you to think I'm trying to pick a fight or anything. It was my understanding that root cellars have always been built to achieve as cold and humid an environment as possible. You also mentioned that it was a luxury for many decades - I wondered when you are referring to. Only until fairly recently were they regarded as luxury and not built along with homesteads as a necessity of life...here are some links to a few of the places/books I referred to as far as root cellar temperatures go - incidentally, one of the links also explains that records show that root cellars were used over 40,000 years ago by indigenous peoples. Ok So first of all, understand that the majority of our population have not lived in an area rural enough for a cellar for several decades. There are several accounts of folks who lived though the Great Depression in which the people "mourned for the lack of a cellar" they could rely on. In that case it wasn't for a lack of time (as so many were unemployed) but in some accounts it was a lack of physical energy to dig but more importantly the lack of space for it as most weren't rural, rather they were searching for jobs in the cities. Going back a little further in history, cellars were more common but primarily in the rural areas and even then it was indeed a luxury--kind of like actually having a barn was--even though they show barns on every property in the old Western movies. Digging a cellar requires a great deal of physical strength and man hours. Typically the days were so full on the farm trying to take care of the crops and the animals that such a luxury wasn't done without neighborhood help. And some areas of the country made it difficult for a cellar for the same reason why some areas of the nation don't have basements. There was also a bit of resistance on the part of some of the population because a cellar was a common practice of the Native American Indians (ere go your 40,000 year history). Heaven forbid someone should learn from the wisdom of the Natives, but unfortunately evil has reigned since time began. In fact, the Natives were successful creating a cellar-like environment even in clay and sand based environments. A common substitute for the cellar was hay bales made similar to a snow cave. During the winter, ice was cut from the lakes and put in with the bales of hay and lasted them all the way into June in most climates. You are correct on the reasons why root cellars were built. When we move to a more rural location, a root cellar is indeed on of my priorities. I'd like to make it more cave like though so that I can make some really kicking kinds of cheeses! AGREED!! :) Thanks for the info, Kellene! I have a question... what about storage of cheese that is already commercially waxed? Should the wax be removed, and it be re-waxed? Can it be stored w/o refrigeration, even though in the store it is in the cooler case? One of the gentlemen asked earlier about where to get large wheeled cheese, local large boxed stores usually have them.....like Sam's or Costco. Never trust a cheese from the mainstream stores as being waxed. You have no idea what kind of wax that is. It could just be colored paraffin. Chances are, it's only for marketing purposes and not preservation. I've ate 6 month old eggs, 9 month old bottled butter and at least year old waxed cheese following Kellene's preservation advice. You do wnat a hard cheese to start with waxing. But many cheeses are great stored in the fridge and can last up to 9 months without waxing. I don't think Kellene has killed anyone or made them sick with her advise. Unlike the USDA in the last year. My bottled butter was much better adding the marble in the jar. If you are afraid, don't wax cheese or bottle butter. It's on you! If you want GMO's, ammonia and meat glue go get your USDA approved food at the local Walmart. No one is stopping you! Jamie, what do you mean about adding the marble in the jar? Is that a regular glass marble? What's it's purpose? Hi Kellene, I love your blog so much, I leave links to your articles on almost every food & food storage subject on a popular coupon site called AFC. I had never heard of waxing your own cheese before, I am posting this in dear hopes of winning this lovely package. Hope to in turn, teach many people. A Cheese-Lover, the thought of going without it would be a bleak life indeed. Kellene, I am so excited to see that you are selling this kit!! Whoo Hoo!! I am more than excited.......what is wrong with your thinking people we pay more for aged cheese,wine etc....learn to do it yourself people....I am so tired of hearing negative comments here....this may not even be posted as I am getting fed up with the nay sayers. There is not another site on prepping that is studied so much as what Kellene does.....figure it out! I am very interested in finding how to make "hard cheese". I have also noted that some food storage companies sell dehydrated grated cheddar cheese. I have purchased cheddar cheese powder that is very yummy and about the same price per reconstituted pound as the market value. I am also interested in goats milk cheese. However, the commercial variety has a lot to be desired. I like goats milk that is fresh enough to taste like cows milk, but I like the aspects of goat milking compared to milking a cow....so...any suggestions? We also are crazy about cheese and butter. I had alot of canned butter (home canned) that was far superior to the powdered variety. I am very interested in upgrading my knowledge on these subjects. I also have a book that is a very good starting point for surviving with some of the older pioneer techniques...it is called "Make it from Scratch" made by the Pima Arizona stake...I remember a copy was 15.00 plus shipping - if anyone is interested. This was the price from the copy shop at about 3 cents a page. Fauna, you will find Amazon to be your friend with the making of cheeses and using goats milk for cheese. I personally prefer either waxing my own hard cheeses or purchasing them freeze-dried. I love the ones that Thrive/Shelf-Reliance has but I loathe the ones that Emergency Essentials have. I don't care for dehydrated cheeses at all. I know this is an old post but I have just gotten that "cheese waxing bug" and have been doing some research. I would love to find the book you are talking about Fauna if you could tell me if I can get one. I'm ready to start my canning and cheese waxing journey. I am very nervous about making a mistake. With equipment in hand, I have a few questions. Can the following cheeses be waxed-orange cheddar, american, muenster, provalone, swiss and mozzerella? I want to store dry cereal. Do I can it using my foodsaver hose? I hear that meatloaf, lasagna, spaghetti, etc. can be canned. How do I can food already cooked? Do I need to sterilize jars before storing dry goods, candy or marshmallows? Thank you for all you do, Kellene! Hey Holly, I cover everything you could possibly need to know in the "For the Love of Cheese" course. There are a great many details to know such as which cheeses to wax and why. As for the Foodsaver, Girl, anything that's dry can be preserved that way. And yes, you can can cooked food, but it will be mushy so I don't do it for thing that contain pasta. Canning meatloaf though? No problem. There are tons of great canning books with recipes including the Ball Blue Book. All items should be sterilized though if you're going to use them for food storage. Hi Kellene, you said anything dry can be saved with FoodSaver does that include nuts? I know YOU "can" them. Can you can all varieties: pecans, walnuts, pistachios, etc. Raw/salted/roasted? Thank you so much for all you do to help us. I'm am a beginner & very excited to have you as a resource. If you'll look up the article "Foodsaver Saves the Day" you'll have all of your questions answers on this matter. Enjoy! I too found the same problem today with my waxed cheese. Puffed wax with water inside and some had mold starting to grow. For most of them I peeled off the wax, cleaned them up and created some delicious dishes with the cheese. Some I had to through out because they seemed to have too much mold. my two friends all had the exact problem with theirs. Today was not a good cheese day. We had waxed 4 different kinds of cheese, The one that had no problem is the Parmesan, Which is the hardest cheese. So I do agree the cheese must be hard and dry. I thought I was doing everything right, but I see now I did not take the proper steps in preparing the cheese. I do I get a copy of your Resource Guide? "I do I get a copy of your Resource Guide?" Janna, I'm not sure what you're asking, however, I can tell you that those who follow the detailed instructions in "For the Love of Cheese" have great success with the cheese. If you're getting all of the weeping, then you didn't dry the cheese properly before waxing. The same goes for the mold under the wax. Actually, this was a part of my study before I began waxing cheeses. There are a couple of erroneous portions therein, but I still found it very helpful. 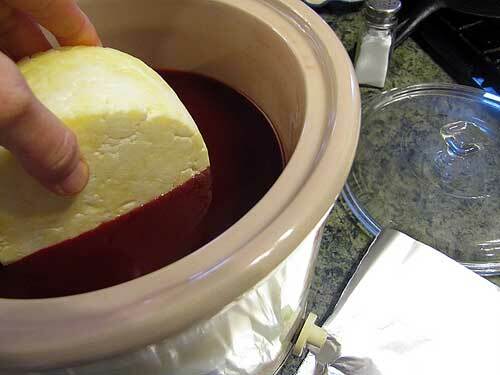 Here is a link that will help regarding storage temperatures for cheese and preparing it. It may lend to your argument regarding waxing cheese. People were probably getting ill from eating the waxed cheese by eating the wax as well lol. In order to be self sufficient, one has to provide their own water, sewage disposal food security, physical security, and whatever else was typically available on a 19th century rural farm. I make my own cheese from raw milk. I wax the hard cheeses and allow the soft cheeses to form natural rinds. I hate to disagree with my esteemed PhD Colleague, whio says that waxing one's own cheese is not a good idea, but he obviously doesn't make cheese - and he is dead wrong as well as seriously mis-informed. This blog in general, and Kellene Bishop in particular are imparting the correct information. Hi.I'm in Utah and need to find where I can buy cheese wheels to wax and store. Any help would be greatly appreciated .Thanks! You can get them from Harmon's, but you can also communicate with Sam's Club and ask if they can bring in some wheels for you. They have a food buying portion of their business that few people are aware of.